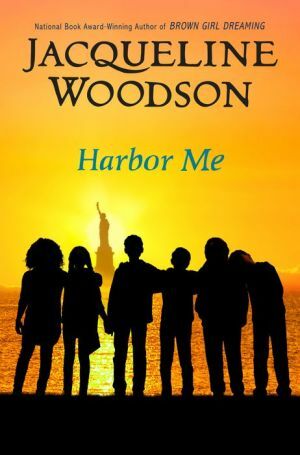 "Jacqueline Woodson is the 2018-2019 National Ambassador for Young People's Literature A NEW YORK TIMES BESTSELLER! Jacqueline Woodson's first middle-grade novel since National Book Award winner Brown Girl Dreaming celebrates the healing that can occur when a group of students share their stories. It all starts when six kids have to meet for a weekly chat--by themselves, with no adults to listen in. There, in the room they soon dub the ARTT Room (short for ""A Room to Talk""), they discover it's safe to talk about what's bothering them--everything from Esteban's father's deportation and Haley's father's incarceration to Amari's fears of racial profiling and Ashton's adjustment to his changing family fortunes. When the six are together, they can express the feelings and fears they have to hide from the rest of the world. And together, they can grow braver and more ready for the rest of their lives."